BRIAN ABORINGONG | …guess I've got to let it out somehow? …guess I've got to let it out somehow? The constant demand for Journalism practitioners with both academic and professional prowess to navigate the ever- growing media landscape in Cameroon has increased over the years. Before now, aspiring media professionals queued at the doorsteps of the University of Buea’s Department of Journalism and Mass Communication, the Advanced School of Mass Communication (ASMAC) in Yaounde and more recently the University of Bamenda. But if you thought quality Journalism education in Cameroon was only obtainable at the aforementioned institutions, you might have to think again. Entrance examinations into the Advanced School of Mass Communication in Yaounde have proven to be a barrier to attaining the goal of receiving a solid education in media for many. 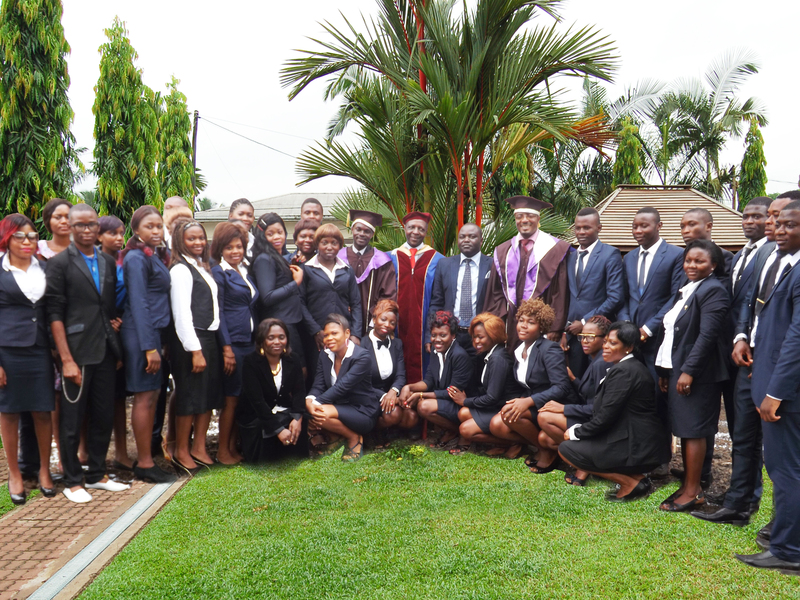 For others, the high entry level requirements at the University of Buea have proven prohibitive, much to the chagrin of those who possess some media experience but need professional and academic training to achieve their dreams. 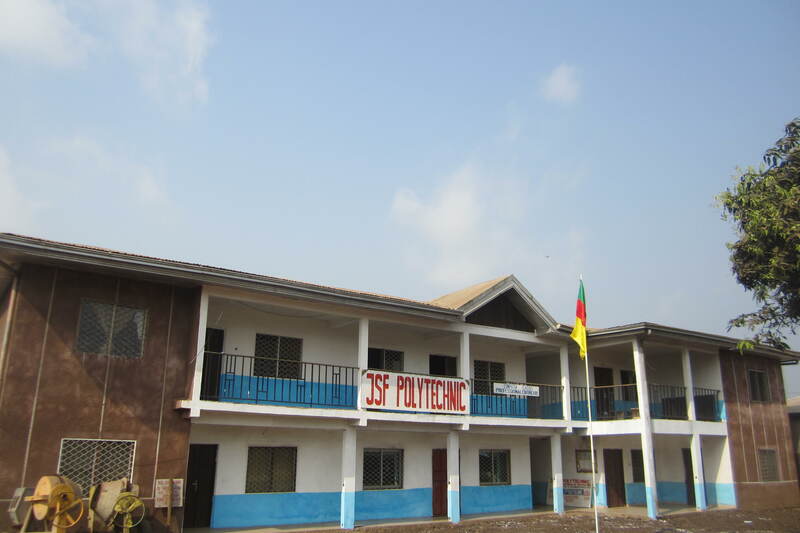 Candidates wishing for a solid education in Journalism and Media studies in Cameroon can now make their dreams come true with JSF Polytechnic’s newly created School of Journalism and Media. Situated at Miss Bright Street in Bomaka, Buea-Cameroon, the professional training institute is the first of its kind in Buea offering affordable quality academic and professional education in Journalism for those aiming at obtaining the Higher National Diploma qualification. Besides a modern library and a state-of-the-art IT centre with free internet access for all students and lecturers, JSF Polytechnic offers even workers the possibility of receiving evening lectures from 4pm. LEWOH COOPERATIVE CREDIT UNION BUEA, amongst many others where students are sent to carry out internships and industrial training. The HND programme in Journalism and Media taught at JSF Polytechnic is broad-based, accommodating both the Print Journalism and Radio and Television Journalism pathways. Poised to set the pace in entrepreneurial management by blending knowledge, wisdom and entrepreneurship, the school received the Authorization to be created by Cameroon’s Ministry of Higher Education (MINESUP):E12/0660/MINESUP/SG/DDES and an Authorization to open: E14/0394/MINESUP/SG/DDES. The School of Home Economics, Tourism and Hotel Management features programmes in Fashion Design, Bakery and Food Processing, Clothing and Textiles, Hospitality Management, Food Management and Catering. The Institute’s School of Education and Professional Development runs programmes in Didactics, Educational Planning and Curriculum Development, Educational Management and Administration, Vocational Guidance and Student Counselling. To be admitted, candidates require at least two A level papers excluding Religious Studies, BACC, CAMPIEM and CAPIET. Exclusive: Misha B Goes Emotional in Second Single! It’s been a while now since multi-talented Sony Relentless artist Misha B released her debut single Home Run to critical acclaim. We loved it, and the charts are loving it as well as it debuted at No. 2 on the UK R&B Charts and 11 in the overall pop chart. 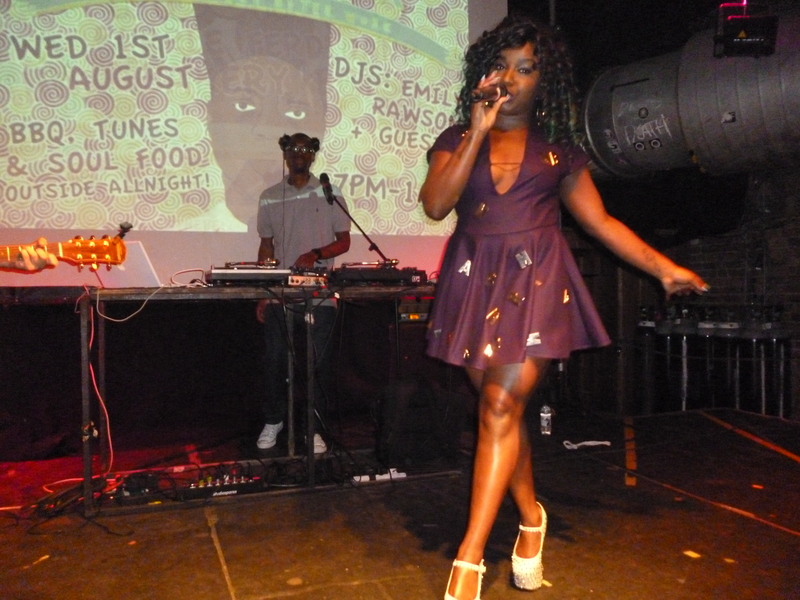 But if Misha B’s work ethic is anything to go by then we know that new material is never far away! And yes! she performed what she disclosed would be her second single from her yet untitled album to a crowd of enthusiastic fans at Not Another, Cargo in London, live a few hours ago! Speaking of her upcoming album, Misha B had previously said “It would all stem from real live experiences” and her second single does a rather decent job of bearing out her soul. But emotional doesn’t mean boring and Misha B certainly knows that! The track is certainly an unexpected direction for the fiesty superstar as the song whose official title is yet to be announced can be described as a fine blend of rock and dance. This second single debut comes a few days after Misha B was announced as a special guest on US rapper Nicki Minaj’s upcoming arena tour in which she’d perform alongside young money artist Tyga. Multi-talented Sony/Relentless recording artist Misha B has dropped the video for her debut single “Home Run” plus a dancehall remix by English producer/remixer kat Krazy. Then the Kat Krazy Remix with a Matt Nevin Video Re-edit! Misha B – Home Run (Kat Krazy Remix) from Matt nevin on Vimeo. Misha B Announces Debut Official Single! X Factor alumnus and upcoming pop sensation Misha B has revealed details of her debut single which would be released in the coming months. The talented Manchester-born vocalist today previewed the debut pop single dubbed “Home Run” on BBC Radio 1Xtra, a few days after releasing her debut Mixtape titled “Why Hello World” which features a variety of genres. The upcoming single “Home Run” which features on Misha’s debut mixtape is yet to be completed and is produced by fresh UK producer MNEK. Misha B said the single would be officially released in July and judging by the preview featured on her mixtape, it certainly doesn’t dissappoint. Misha B was a major highlight of the last season of the UK X Factor and mesmerised the judges and TV audiences alike with her versality, professionalism, vocal ability and stage presence. 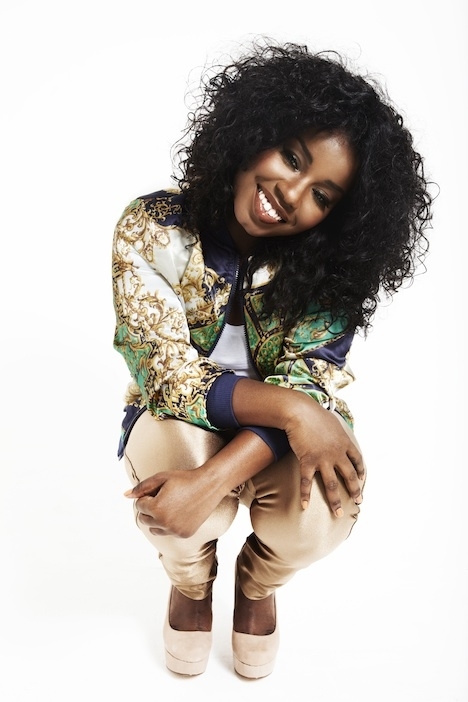 Although she finished fourth in the competition, Misha B attracted the attention of major recording artists including hip hop queen Missy Elliot amongst many others keen to work with her. There were reports of an alleged record bidding war over the singer-songwriter, rapper and all round performer and only recently was it confirmed that Misha B is now signed to Sony Relentless. Misha B’s decision to release a mixtape before an album is reminiscent of international rapper and pop sensation Nicki Minaj who released three mixtapes between 2007 and 2009 before getting caught up in a major record label bidding war. Nicki Minaj is now the only female solo artist to have had seven singles on the Billboard Hot 100 chart at the same time. Given Misha B’s talent, it is hoped that her solo efforts will garner even more international acclaim. The frenzy over football is fuelled by the desire to win-after all it a competition. But Fabrice Muamba’s cardiac arrest a couple of weeks ago changed everything. The desire to win an opponent was the same-only this time the opponent had changed….. Her name is synonymous with the best in Gospel music. 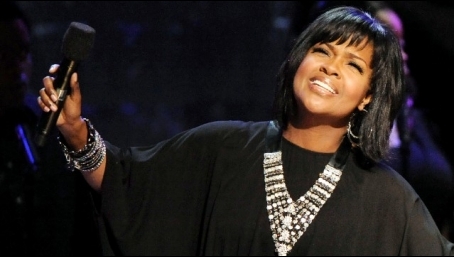 This morning,January 2012, Cece Winans again showed just why with a stellar concert at the Excel Centre in London. Truth be told this blog will be biased as I have been a huge Cece Winans fan for 8 years now. That is ever since I stumbled on her Throne room CD in 2004 at my first undergraduate year as a journalism major at the Department of Journalism and Mass Communication in Cameroon, West Africa. After Cece’s breath- taking rendition of ‘Mercy said No’ which got me glued to that album, I eventually did what every ardent fan would do. I got every Cece Winans album that I could possibly find, earning in the process the title of ‘Mr Cece Winans’ from my mother as I belted out every song lyric with the same vocal embelishments on the syllables as Cece did. This morning Cece Winans brought back those same memories. And just when I thought the Live in the Throne Room DVD was perfect, standing there at the fourth row and listening to Cece got me thinking again-She is so much better live! Cece Winans raised the roof with a string of her hits including “Hallelujah Praise” “Pray” “Alabaster Box” “Jesus, You’re Beautiful” “Mercy Said No” and “Waging War” before delving into a soul stirring rendition of “More” from her more recent CD “For Always” – The Best of CeCe Winans. But beyond the dazzling lights, gifting, stage presence, vocal clarity and technical flawlessness that enables Cece Winans to completely wrap herself around a lyric to the sheer delight of fans like me, Cece Winans is a worshipper at heart whose sincerity,grace and love for God are reflected in every performance. That endears her to us even more. To say the least, Cece Winans ministered exceptionally well this morning in London and to both worshippers and worship leaders alike, it was a masterclass on how it is done. Barely one week after tackling looters head-on in last week’s violence, Hackney’s newest heroine, says sending the thieves to overcrowded prisons may not solve street/gang crime in England afterall. The 45-year old grandmother, Pauline Pierce became an internet sensation last week when a video of her impassioned plea to dissuade rioters from looting went viral. Ms Pearce had defied the violence around her and angrily waved her stick in protest against the opportunists who took advantage of the riots to loot several shops. “Get it real black people!” Pauline cried. “She’s working hard to make her business work. Why would you burn it down to prove you’re batman?” she asked amidst the looting frenzy. It’s been a week since that adrenaline-infused speech that transformed Ms Pauline Pearce from an ordinary Hackney inhabitant to a superheroine with almost 100,000 hits on Youtube alone. But the jazz singer and mother of four has told BBC outlook that the government’s mass incarceration of looters may not be an adequate response to the violence. Pauline Pearce argued that the courts should go beyond stuffing overcrowded prisons with impenitent teenagers to giving out community sentences that would allow the looters rebuild the community they have destroyed. Pauline Pearce’s new message to the governemnt is to temper punishment with compassion and ensure that the looters learn a skill while being punished to enable them be useful to their communites when they leave prison. She is equally horrified by the talk about evicting entire families from their council houses because they have a renegade child. Pauline Pearce said sending over 2000 people to overcrowded prisons will result in another generation of illiterate jailbirds who would leave jail with no job prospects. Pauline Pearce’s compassion towards the renegades might be understandable given that she has made a fair share of mistakes herself. In 1996, Pauline Pearce’s life changed when she was cast in a show as 1920’s Jazz singer Bessie Smith. But after returning to her love for theatre and travelling the world, she made a mistake after a music festival in Jamaica which landed her in jail. To make matters worse, Pauline Pearce was diagnosed with breast cancer in 2008 and had a mastectomy to see if her cancer is dying off. “They say what doesn’t kill you makes you stronger. Perhaps that’s why I felt the strength to stand up to those bullies.” she explained.